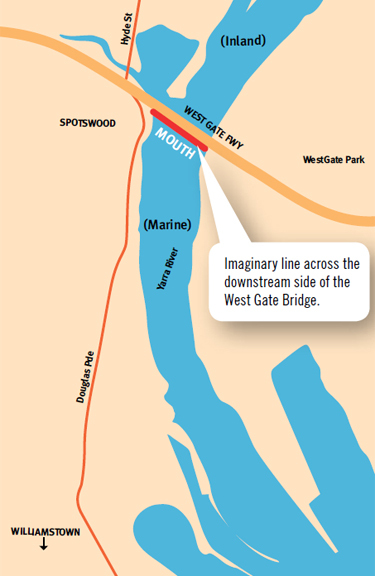 any swamp, lake, lagoon, backwater, billabong, dam, river, stream or public water storage reservoir. 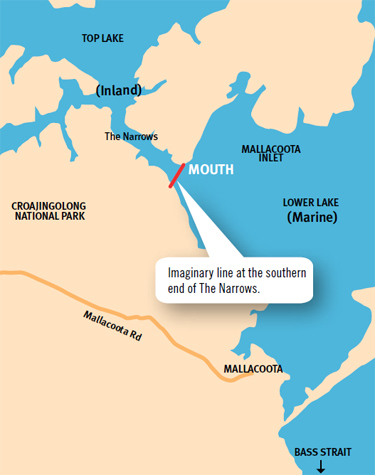 the Gippsland Lakes, Lower Lake of Mallacoota Inlet (see map 5), Lake Tyers (see map 7) and Wingan Inlet (which are considered marine waters). Victorian waters that are not inland waters such as (but not limited to) Port Phillip Bay, Western Port. 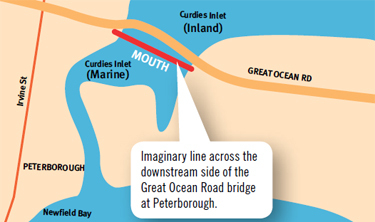 Note: Water on private property, such as farm dams, are neither inland nor marine waters. 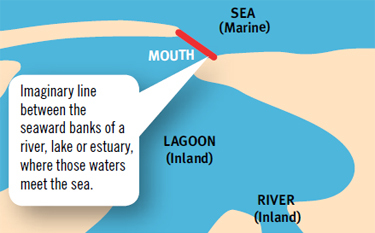 those waters meet the sea (for examples see maps 1 and 2). 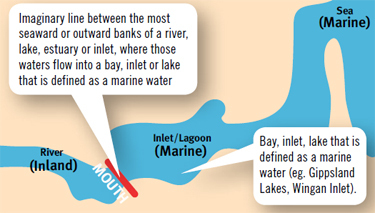 where those waters flow into a bay, inlet or lake that is defined as a marine water (eg. 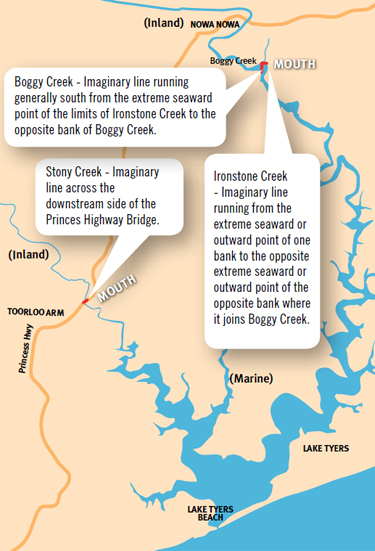 Gippsland Lakes, Wingan Inlet) (see map 3). 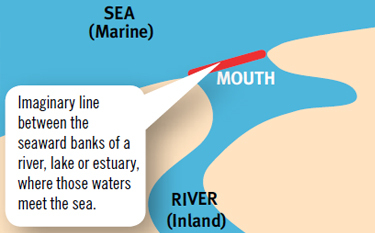 The location of the inland/marine water boundary (mouth) differs for the following waterways (see maps 4-9).